Do you get bored of eating veggie sticks and dip all the time? If so, then you will love these crackers as much as I do. 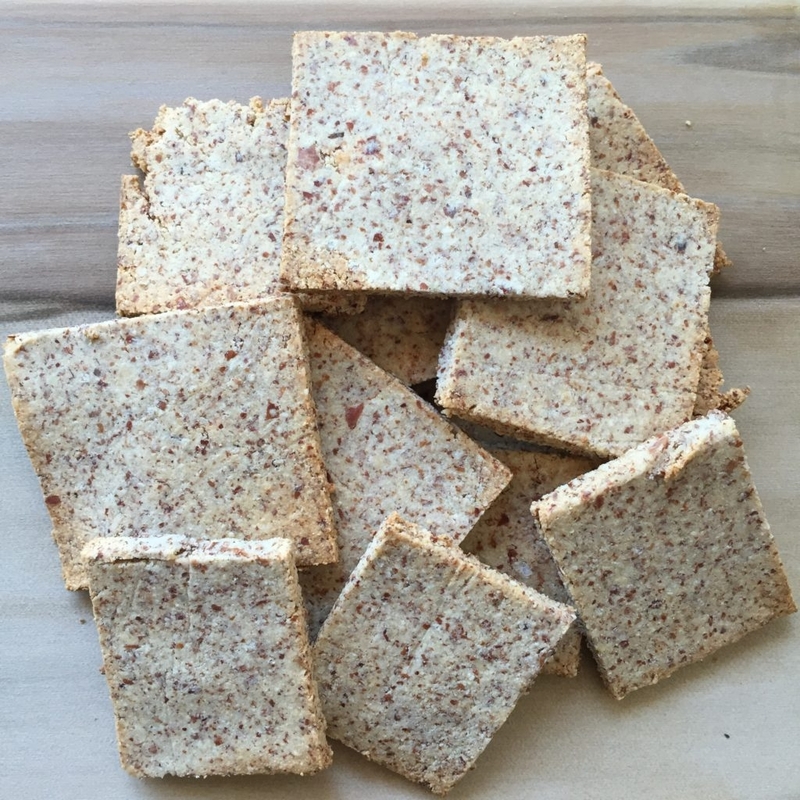 They make a fabulous alternative to any processed cracker you buy from the store and are so filling and nourishing. They taste great with tahini, hummus, avocado and nut butters. Be adventurous and top them with anything you desire. Being made from almond flour, you will find that they are filling and you won’t need to eat more that 2-3 at a time. Place almond flour, egg, salt and pepper in food processor. Pulse until dough forms. You may need to add a little water. Place dough between 2 pieces of baking paper and roll out dough to 2mm thick. Cut into 5cm squares and sprinkle with salt and pepper. Bake in oven for 12-14 minutes at 170 degrees.